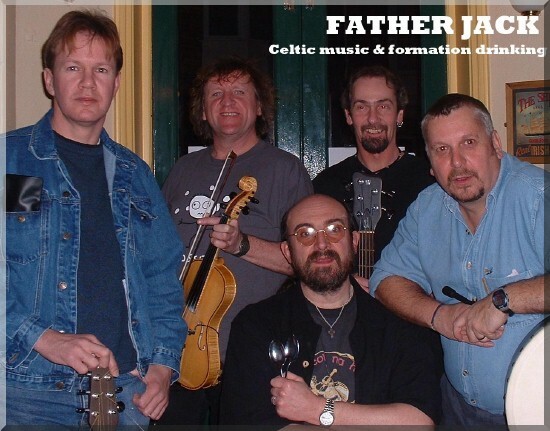 Although Father Jack was formed in 2001, there's a wealth of experience within their ranks, as the band consists wholly of ex members of An Sessiun and The Motherfolkers. After the demise of these previous incarnations, the boys decided to get together to continue to play Celtic music but with with a slightly different direction. 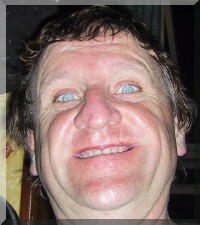 Father Jack specialise in playing high energy traditional music for the sheer joy of it. The material includes Irish, Scottish and Cape Breton styles, as well as anything else which works! Fronted by Stacey on fiddle and banjo, and John Roberts on vocals, spoons and inappropriate comments, Joe Waite plays guitar, Greg is on bass, whilst "King Of The Skins" Paffs performs bodhran and djembe duties, as well as contributing to occasional backing vocals. Last summer Father Jack toured the west coast of Ireland, ensuring that they played a gig at a pub in Ennystimon, County Clare, where "Father Ted" was filmed! At Miltown Malbay they played at the world famous Willie Clancy Festival, before performing a series of gigs in East Galway. They've been invited back this year, and will be performing in Counties Galway, Clare & Kerry this Autumn, after visiting France for a short tour of Brittany.